There were quite a few of the rules that I liked and agreed with and even shared back in the day with my sons—numbers three and five happened to be a couple of favorites. 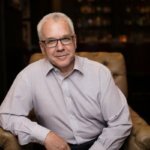 But I snagged my brain on that fourth one, because I have to say, it is frequently a poor negotiation strategy, and yet remains one of the most common myths around negotiating. Why make the first offer? Think anchoring. Because in taking this “one size fits all” approach to negotiating, you can miss the opportunity to benefit from the power of anchoring. In his book, Priceless, William Poundstone references the work of multiple behavioral scientists and economists on the anchoring phenomenon. They showed repeatedly that even highly educated, experienced people are impacted by numbers they hear early in a negotiation. And the most powerful impact comes from the first number. There are many theories about why the first number has this undue influence on people, but regardless of which theory you subscribe to, the fact remains that contrary to much popular wisdom the one who makes the first offer is not the one who loses. In fact, the one who makes the first offer in a deal—if they have sufficient knowledge and plan correctly—will exert a great deal of influence over the other party’s perception of the value of what they’re negotiating over. If you doubt the power and widespread use of anchoring, let’s look at an example that almost everyone has seen: comparables or “comps” in real estate. Wikipedia defines comps as “a real estate appraisal term referring to properties with characteristics that are similar to a subject property whose value is being sought.” When you are looking for a house you check sales data for homes in your desired area that are similar in square footage, condition, and so on to help determine what you should pay. Similarly, home sellers look at sales data in an attempt to determine how much they can reasonably ask for their homes. This works in part because real estate transaction information is verifiable and readily available. But each party uses the data differently. 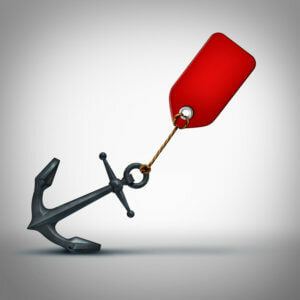 Sellers look for the highest comps they can find so they can “anchor” themselves to the higher price. Conversely, buyers look for the lowest sales prices in the neighborhood to anchor to in an attempt drive down value in the mind of the seller. Once the data are shared, arguments ensue about how similar the homes are, their true condition, views from the deck and whether the cabinets are sufficiently updated; but the numbers in the comps set a tone that lingers throughout the deal. In reality, once the seller of a property publishes their asking price, they have, in effect, made the first offer. The comps (anchors) are used to justify the price they’ve set. So, if you follow the advice given in the “Rules” then your real estate listing would describe your property, show pictures, and then just say “Make Offer” where the price usually goes. Not the normal way to list a house, is it? Sometimes making the first offer isn’t smart. Gold and Stock opened with $40,000! That was 8 times what he was going to ask (and is the equivalent of nearly $700,000 today). In the absence of good market data and without a clear understanding of how the other party values what you are negotiating over, waiting to make a first offer is a sensible approach. We’ve seen that when you have good data, understand your products/services, competitors and market, etc., that it often makes sense to make the first offer in a negotiation. By doing so you are able to impact the perception the other party has of your value (and potentially how much conviction you have around that value). Some negotiators, when confronted with a first offer from you that is significantly different from what they expected, may begin negotiating with themselves, reasoning that they misjudged the value of the item in question, and adjusting their response. To stay with our real estate example, when they see that your asking price is 8% above similar houses in the area, they may begin to think that you have added significant value to the home and that they were unrealistic in expecting to buy it for less. But be careful! If your asking price is too high, you run the risk of coming across as unreasonable or ill-informed, and could possibly doom the negotiation before it even begins. It’s a balancing act. So, go ahead, follow some of the other “Rules for My Son.” I find numbers six and twenty-eight particularly compelling. 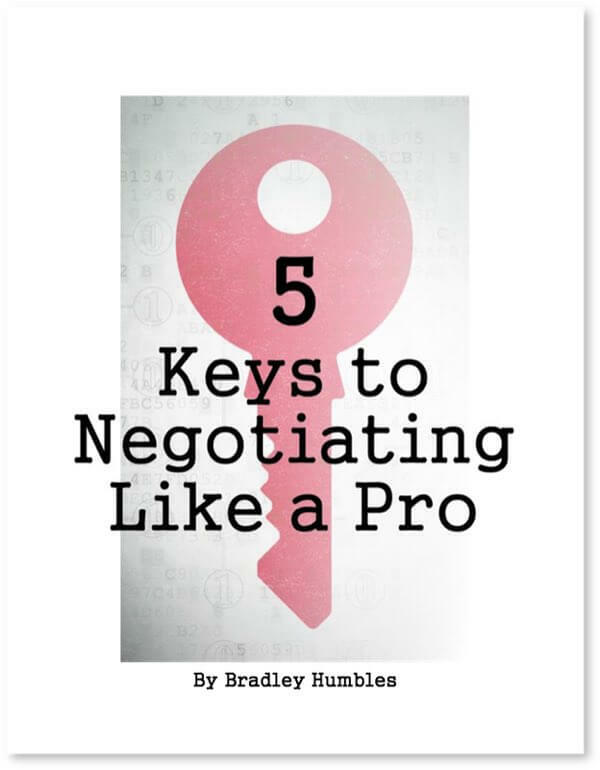 But when it comes to negotiating, assess the situation, make a great plan, and then make the first offer. You’ll be glad you did. I read that same “Rules for my Son” article a few days ago and was going to send it to you because of that rule about being the first to make an offer… You beat me to it. Nice job formulating it into an excellent article! We’re on the same page! I don’t know why this myth is so prevalent, but hopefully the blog will get some people to rethink this concept. Thanks for your comment!